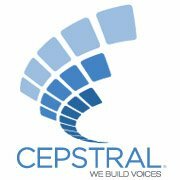 I have been using Cepstral Callie-8kHz voice (lincesed) on my asterisk box. Use the swift engine to convert the text to speech wav file. But right now the wav file is not generated for the application to play it. Can there be any thing that iam missing and its because of this the wav file is not generated. I split your topic off, since that old thread hasn't been touched for three years. Can you show us the results of the following? Now, how are you calling the swift engine from within Asterisk? If you are using app_swift, it will not create files, but rather dynamically stream the audio into the Asterisk channel.